Mon. - Fri. 11 a.m. - 10 p.m. Sat. 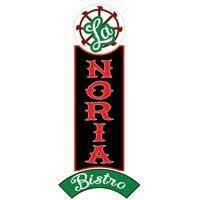 4 p.m. - 10 p.m.
La Noria Bistro is El Barzon's sister restaurant located in Southwest Detroit. Like El Barzon, La Noria is an Italian and Mexican restaurant, but with a focus on wood-fired pizzas and Pueblan street food.